Learn How to Make a Rain Garden in this informative post; it’s a creative and beautiful way to protect the environment and grow plants. A rain garden is a very simple idea that has become a hot new trend for landscapes. Outdoor landscape areas that have been left undeveloped due to excessive rain run-off or standing water can be transformed into a beautiful rain garden with the right plant choices. Selecting the right plants and manipulating the soil in a low-lying area will allow the area to receive and absorb excess rainwater. Since the excess rainwater stops in the rain garden, it prevents soil erosion and garden chemicals from making their way into nearby streams and lakes. 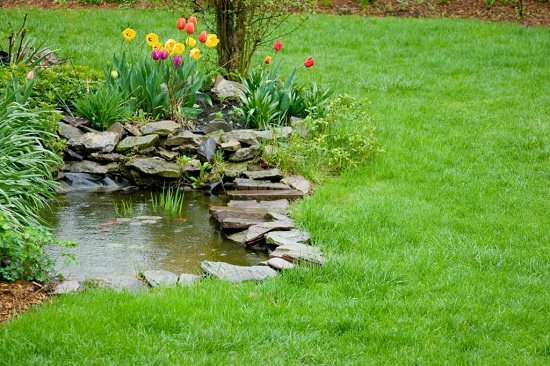 Creating a rain garden in a low-lying area of your landscape will also eliminate standing water and prevent mosquitoes from breeding. The additional beauty of a rain garden will also add value to your property. Choose a location that is prone to have excess rainwater standing in it after the rest of the landscape gets dried after a heavy rain. If you do not have a location in your landscape like that, choose a location that is near a paved driveway, sidewalk or downspout where a lot of rain run-off passes through. 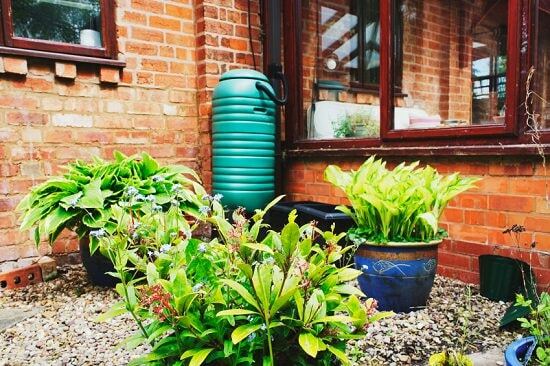 Any location where rainwater tends to run or collect is an ideal spot for creating a rain garden. After the location has been chosen, decide on the size and shape of the rain garden. Next, remove all the soil to the depth of about two feet. 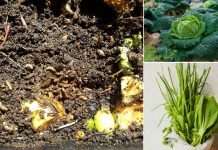 Mix in an equal amount of compost into the removed soil. Gypsum, well-rotted animal manure, shredded leaves, hay or other organic material, can be used in place of (or combined with) compost. The soil must be manipulated with organic amendments to make it extremely loose so it will be able to quickly absorb and hold onto the excess rainwater that will be headed towards the newly created garden. The organic material will also increase the fertility of the soil and keep the plants fed and healthy. If you will be using commercial fertilizer, now is the time to mix it into the soil. 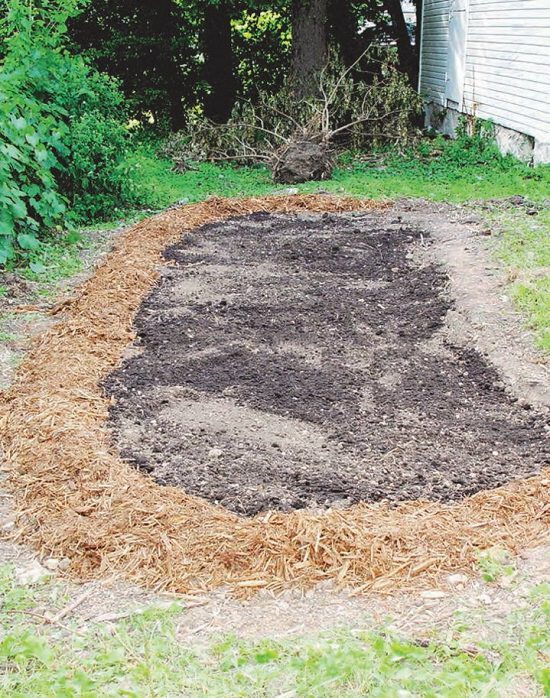 Place the amended soil back into the area where it was removed, making it deeper around the edges than in the center. Taper the soil towards the center, making a depression about six inches deep in the middle. Excess rainwater run-off will collect in the middle of the soil depression and gradually be absorbed into the soil, watering the rain garden flowers and helping to prevent landscape flooding. The best plants for a rain garden are native plants that thrive in your specific location. Native plants that can absorb large amounts of water, yet can tolerate dry soil between rains. For example, a southern rain garden should include a native Crepe Myrtle bush. These hardy, colorful bushes can quickly absorb a tremendous amount of water, yet, they are drought tolerant. Crepe Myrtles can survive weeks of rain followed by weeks of drought, making them an ideal rain garden plant choice. A tall native bush or plant can be planted in the center to camouflage the lower middle of the rain garden. Plant tall in the middle, then taper the plant heights towards the outer edge, and no one but you will know the center is six inches lower than the outer edge. A mixture of native perennial flowers, shrubs, and trees will produce deep roots in your rain garden that will help keep the soil loose to aid in rainwater absorption. Keep the sun exposure of the rain garden location in mind when selecting plants. 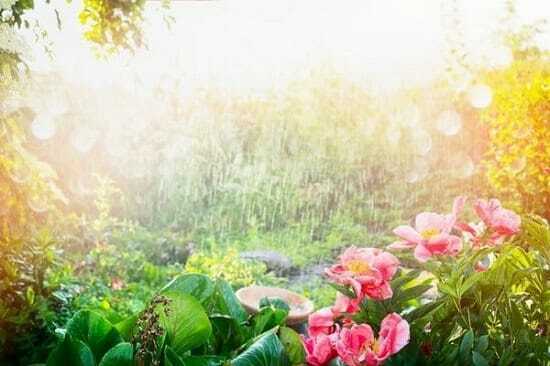 If the area is a shady, partial shade or full sun, you will have to choose plants accordingly. Creating a rain garden requires deliberate planning and a lot of initial work, but once it’s established, it’s almost maintenance free. Choosing the right plants for your rain garden will also bring wildlife to your landscape, which is as enjoyable to look at as blooming flowers. 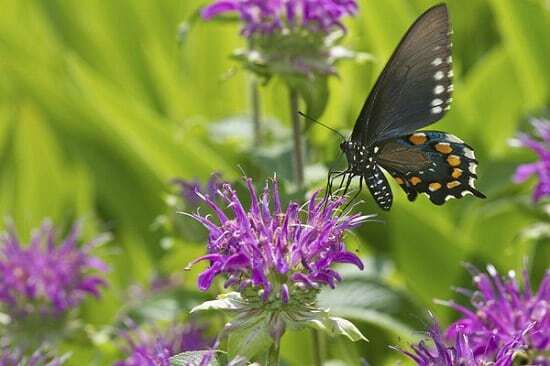 Coneflowers, bee balm, cardinal flower, and blazing star are some of the colorful perennial flowers that will attract birds and butterflies to a water garden. These plants, along with butterfly weed, hydrangea, winterberry and bottlebrush grass, grow best in full sun. For shady rain gardens, choose sweet williams, jack-in-the-pulpit, asters, goatsbeard, ostrich fern or wild columbine. 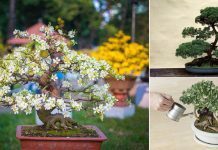 These beautiful blooming plants will attract and feed pollinators that will help keep all the plants in your landscape producing abundantly while providing you with an interesting wildlife show. Creating a rain garden does more than provide landscape beauty and wildlife food; it also provides environmental benefits. Every path polluted rainwater run-off leaves traces of chemicals and pollutants behind that cause harm to natural eco-systems and micro-cultures that live beneath the soil. A rain garden will catch the water and filter it through the soil and plant roots to remove harmful toxins and provide a cleaner environment within your landscape. 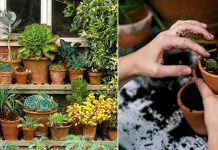 Guest post by Elena Smith–Elena is a gardener, designer and DIY enthusiast with a love of simple and green life. You can check out her blog at Elena Gardening.